Snapshot about Salmon fishing – past and present. Guesstimate and analysis of water depth and temperature in salmon fishing. History of Vom Hofe reels. Are they still usable? King pattern from River Spey. Catch a salmon from surface. Classic salmon fly and modern varieties. 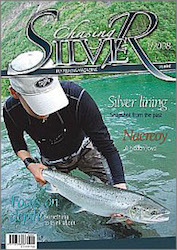 Wonderful opportunities for anglers to pursue the diamond of the River. You don’t have to be mad to be a salmon fisherman – but it helps.